Whether you’ve found yourself staying at our historic hotel in downtown Glasgow for a hunting trip, a little family getaway, or just staying for a night, it’s important to treat your belly right and give it the delicious food it’s growling for. Unless you’re from the area, it’s unlikely that you know where to go for your next meal. 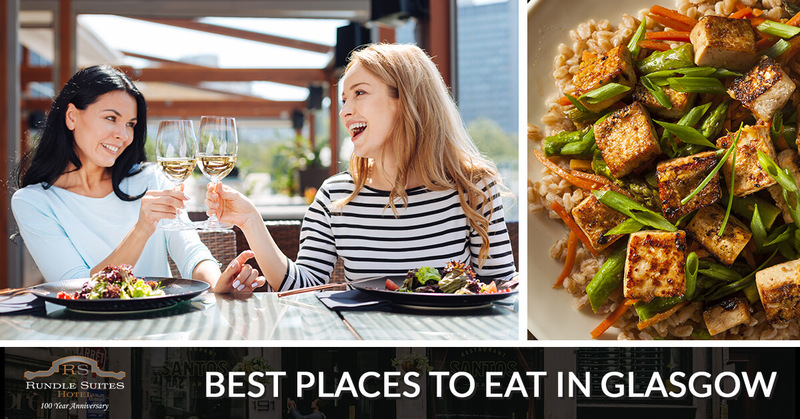 In this post, we’ll give you the names of some of the locals’ favorite restaurants around. With our hotel is centrally located in town, you’ll be able to grab your things and simply walk to one of these eateries to appease your appetite! If you’re hankering for a sandwich, look no further than Soma Dis Deli! Having been in Glasgow for over a decade, and family-owned, this little deli puts other sandwich spots to shame! Fresh and delicious ingredients make these mouthwatering sandwiches, but the real game changer is the homemade bread. Select your meal from the menu full of quirky names like the “Herb-n-Legend,” “Hot Rod,” or the “Holey Cow,” and get ready to give your taste buds a real treat! Soma Dis Deli also has a great selection of soups and salads as well if you’re not craving a sandwich. Pizza is always a great choice when you’re hungry, but Eugene’s Pizza takes it to whole ‘nother level! Having been in business for over 50 years (half a century of pizza! ), Eugene’s has kept their recipe the same the entire time. Because why fix what’s not broken?! 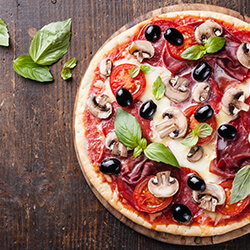 For two straight years they’ve been voted as “Montana’s Best Pizza,” so make sure to check them out while you’re staying at our luxurious hotel. If you’re not a fan of pizza, then something is wrong, but you’ll be able to order one of their delicious chicken dinners, burgers, sandwiches, and even shrimp! If you’re in the mood for some delicious and affordable Mexican food, be sure to check out Fiesta Mexicana! Ran by four cousins, this restaurant uses only the highest quality of ingredients and makes sure that all of their meals are truly authentic. So make your way over to this little piece of Mexico in Glasgow during your stay at Rundle Suites. If you’re on the lookout for some delectable breakfast or lunch foods and also feeling lucky, drop by Nickel Wade’s Casino! With an extensive menu, this restaurant is ideal for hunters to grab a quick bite before heading off to hunt some game. Or, if you’re a gambler, you can stick around and do some video gambling or play keno or poker! Don’t shy away if you have the little ones with you, Nickel Wade’s is kid friendly during lunch hours. Take a quick trick from our downtown hotel and seek out Durum Restaurant while your here for some perfectly cooked steak and a cold beer to wash it down. With affordable prices and a focus on great customer service, there’s a reason why Durum is a Glasgow favorite. After your stay at our quaint little town in our beautiful historic hotel, you’ll consider us a second home. Newly remodeled and chock full of rich history, you’re not going to want to leave Rundle Suites. If you’re here for an extended stay, be sure to try these restaurants out, and ask us for more recommendations! We are dedicated to providing you with the most relaxing, enjoyable stay possible, and will provide you with all of the information that you need! If you haven’t already, be sure to book your hotel room now! We truly look forward to welcoming you to Glasgow!